This story’s prompt was a simple one: the four elements. Air, Fire, Earth, and Water. Use them, abuse them, make them dance to your bidding. This is an introspective piece. Hope you enjoy it and leave her some love in the comments. Many civilizations worshiped the elements, especially fire. Man, did they love fire, the most impatiently destructive of all the elements. It provided heat, light, and the ability to cook food. It had even warded off predators in the night, but it was one of the hardest elements to control. It gave a great spectacle while it was destroying everything you owned but it was over too quickly to enjoy the beauty. And really, was a pretty show worth it? Some favored water instead for its cleansing and life bringing qualities, its purity. Those qualities only existed if the worshippers kept it clean in the first place, though, and that never happened. Human beings are some of the filthiest creatures, tainting everything around them. Just look at the trash now floating in the very water they thrive on. Others worshipped the air as the great force that drives the weather and provides pollination for plants. They once prayed for its calm benevolence but still they pollute it as much as they pollute the water. Human’s enjoy a good breeze or a breath of fresh air yet contaminate it. It’s no wonder the air brings its wrath by way of hurricanes and tornados so frequently. Earth, though, is the one element all but forgotten. Sure there were some civilizations that prayed for its fertility or for its calmness from earthquakes. Some had even sacrificed for its benevolence but that practice has long since died. Earth is seen as nothing now. Fire is brilliant, colorful, and unpredictable. Water is ever flowing, immortal, and sees the whole of the world. Air, too, sees all of the world and its riches. Earth is unmoving, cold, lifeless, boring. It’s a shame, really, how unimaginative people can be. 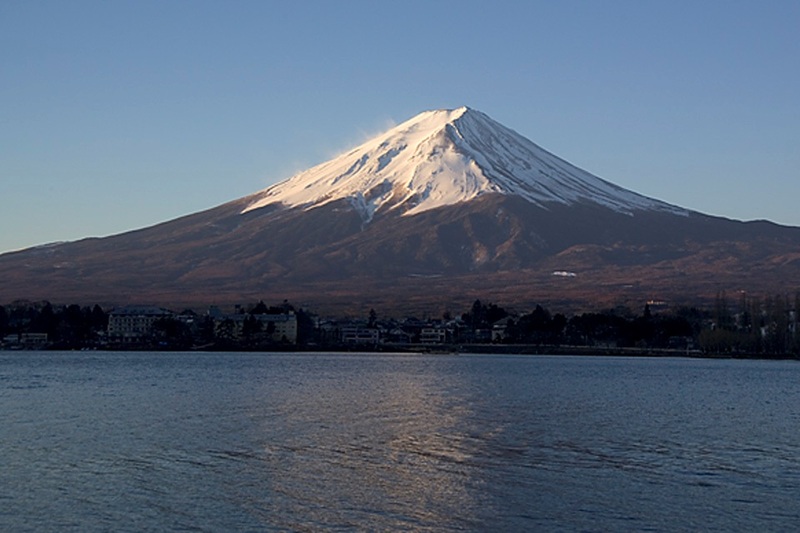 Yes, Mount Fuji has never moved. It has never seen the harsh deserts of Egypt or the beautiful temples of Greece. It has never known the excitement or wonder of the famous Coliseum in Rome. It’s stationary but it has seen the entire history of itself. It has seen the whole passage of time around its base and known the ingenuity and majesty of life and people. From the first sprout of grass on its fertile slopes to the lush forest that now surrounds it, it has seen life come and go. It has watched the entire history of Tokyo and the determination of the people. Their lives, trials, and wars have all been viewed and remembered by this immovable, silent, boring on-looker. Fire burns itself out too fast or is too busy destroying to see or appreciate the life around it. Air and Wind both move slower than fire; however, they too are gone before much time has passed. None have watched the lives of all classes, from common beggar to emperor. None have seen the aggression and peacefulness of humans and all life. None have gained wisdom from time and patience. None knows the brilliant splendor of life but the earth on which that life lives and thrives.